Newton Shoes is based out of Boulder, Colorado. Boulder is a hot spot for runners and outdoor enthusiasts alike. Newton exists to make every stride better. What makes them so special though? Newton is a company that set out to create a running shoe that was different from all other running shoes. There is a reason behind their desire to be different though; to make every stride better through new technologies. Their Level Platform aligns with the human body and puts you in a position to run in your most natural state. Their shoes have lugs under the mid to forefoot area. These lugs act like springs, which they call their Action/Reaction Technology (see the video below). 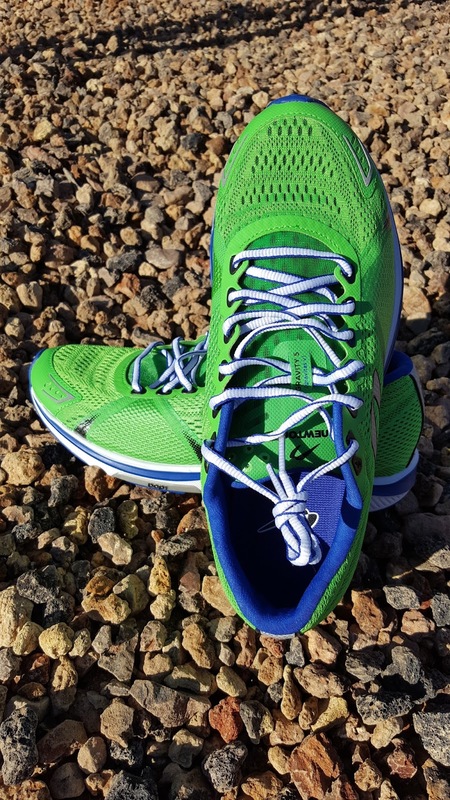 The active movement of the lugs creates a responsive, trampoline-like cushioning system that provide a quicker bounce-back and less loss of energy than most traditional foam-core running shoes. All of their shoes have full-foot cushioning. 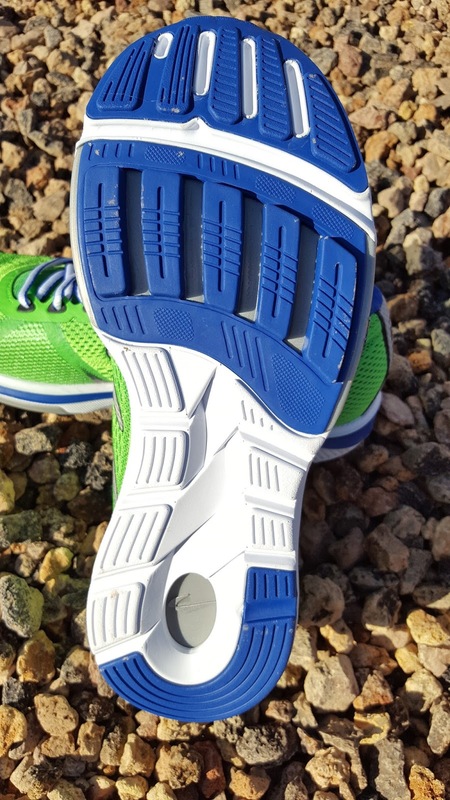 You get the cushioning from the lugs in the front and you will find the same technology in the heel as well. 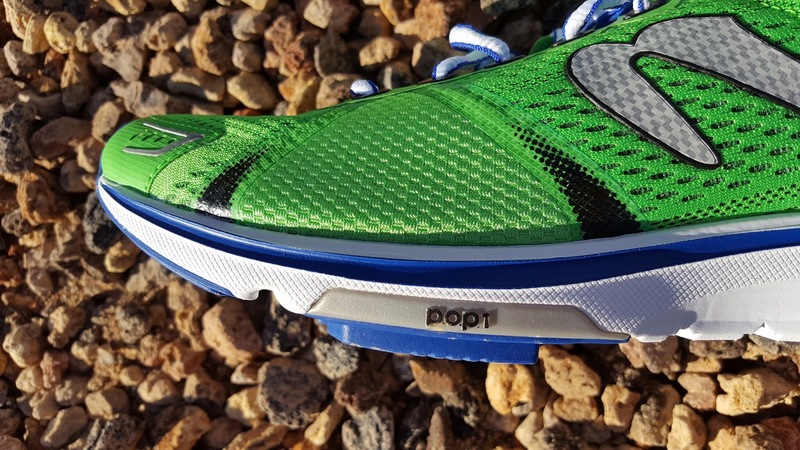 You get a nice, cushioned ride from heel strike to toe off. The Level Platform that I mentioned earlier means that Newton shoes feature lower heel drops than most shoes, which is great, but can take a little time to get used to. Newton has three categories for their lugs. P.O.P 1: Prominent, powerful lugs with square corners deliver their most responsive, performance ride. P.O.P 2: Beveled lugs allow for a smoother ride and offer a great introduction to Newton’s Action/Reaction Technology. P.O.P 3: Foam-backed and less pronounced lugs produce their softest ride. Now about the form tips that I eluded to earlier. Newton promotes three key principles of running that will help you to run more efficiently. They are posture, position, and cadence. You should stand tall with a slight forward lean while you run. Focus on leaning slightly forward and keeping your feet under your body at all times. You want to focus on landing with your feet parallel to the ground, directly under your body. Your feet should land level to the ground. Start by looking straight ahead, keeping your head up and your core engaged. Hold your arms at 90-degree angles, close to your body and pull your elbows straight back. You want to take quick steps. The most efficient cadence is 180 steps per minutes. Cadence plays a big role in injury prevention. Many runners have to shorten their stride a bit to get to 180 steps per minute, which is okay. It will take less of a toll on your body. 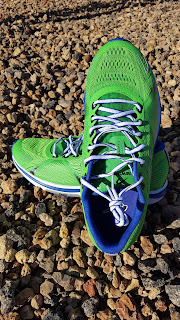 I got a pair of the Newton Gravity V shoes to test out. They are green and blue, which is awesome since I am a Seahawks fan (just had to throw that in there). 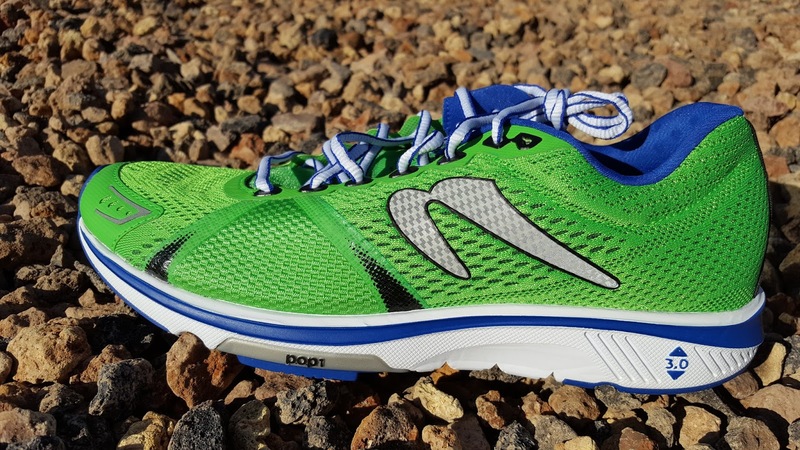 The Gravity V is a neutral training shoe that is built for runners who want a shoe they can use on their training runs, but still be able to use it on faster paced tempo runs or races. This is their top of the line shoe when it comes to performance and comfort. The Gravity V features the P.O.P 1 platform and has a 3mm heel drop, which I really liked. It weighs in at 8.1 ounces, which is amazingly light. The new seamless engineered mesh upper material and 4-way stretch mesh metatarsal panel not only feels and looks great, but is extremely breathable and will keep your feet cool and dry. All of the eyelets are reinforced so no more eyelets ripping, which has never been an issue for me, but is a great feature anyway. The shoe also offers heel lace lock eyelets. The new tongue design features a radial band to keep the tongue in place and it has a foam backing on the tongue that makes it extremely comfortable. I have had issues with some shoes that have thin tongues because I tie my shoes tight. It has caused metatarsal pain, but not with the Gravity V. They also updated their pre-molded heel counter for the Gravity V and it now creates a better form and fit for your heel. So I will be honest and say that I was skeptical because I had issues with Newton’s in the past. I reviewed the Gravity III and because of an injury that I already had, the Gravity III made it worse. I was worried that I would injure myself with the Gravity V (not that I had a valid reason to be concerned). I took them out for my first test run and did 4 miles. I was truly surprised how good they felt and I could definitely feel the extra responsiveness. I was able to keep a fairly fast pace and really enjoyed both the low heel drop and the bounce back from the lugs. A quick note: The lugs will not make you feel like you have springs under your feet. I backed up that run with a few more tempo runs as well as a long run. Each run, felt better than the last and today I ran my fastest pace in quite a while and I still had more left in the tank. I really feel like the superior feel, fit, and functionality of the Gravity V had a direct result on my run going so well. 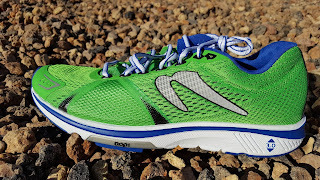 Newton has really put out an awesome shoe in the Gravity V. While the price tag of $175 is a little on the steep side for running shoes, I think it is worth the money because of all the features it has. While I was skeptical at first, my concerns were quickly squashed and I am a true fan. I can’t wait to see what else they have to offer. You can pick up a pair at the Newton website or at a local store near you (click here for locations). Pick up a pair and let me know what you think of running on lugs. What is BibRave and what is a BibRave Pro?